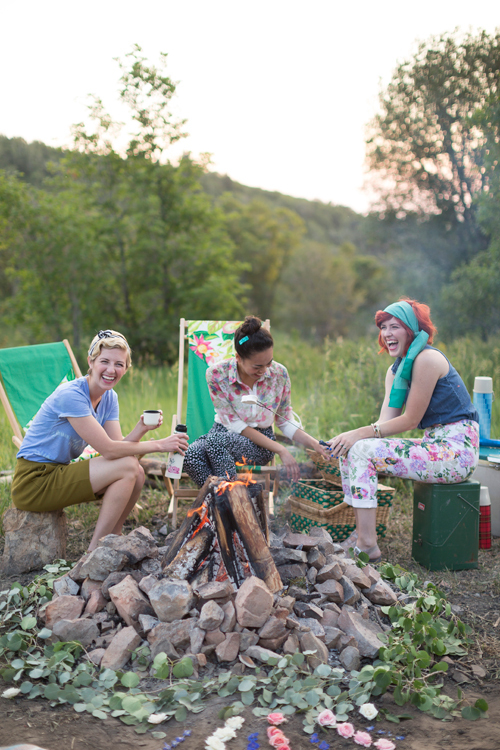 The week of glamping continues! 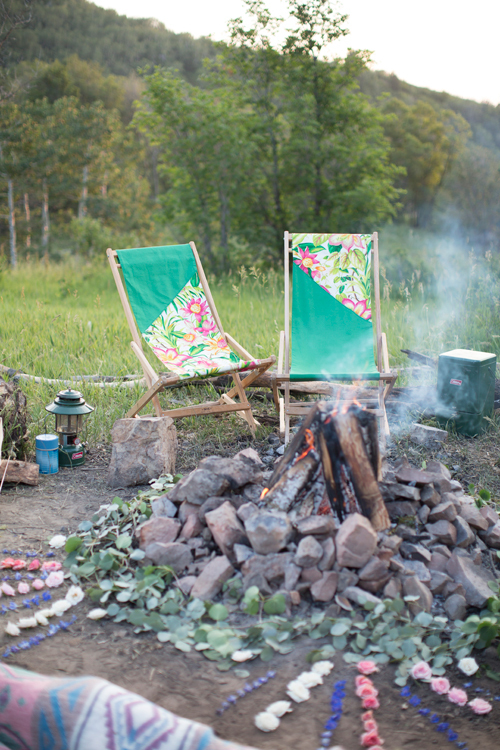 You’re never full dressed without a cute camp chair coverlet at a campfire, amiright? 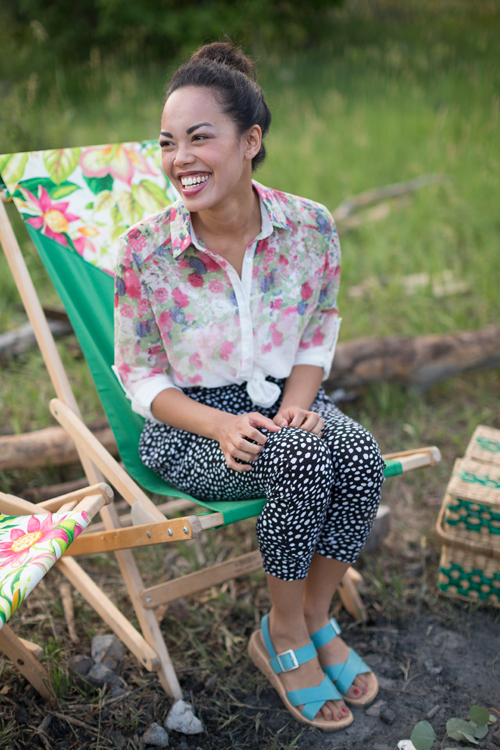 These ones are floral and geometric all rolled into one. 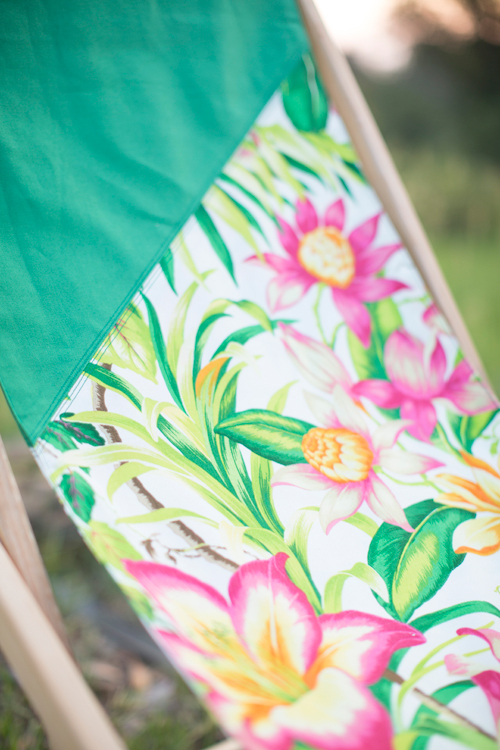 Check out the full tutorial below to customize your folding chairs. Step 1: Measure the seat of the chair you would like to update. You will be imitating this. Remember to measure the entire length, including the ends, which are folded back on themselves). Add an inch to the length (for seam allowance). Step 2: Cut out your fabric in the correct dimensions. 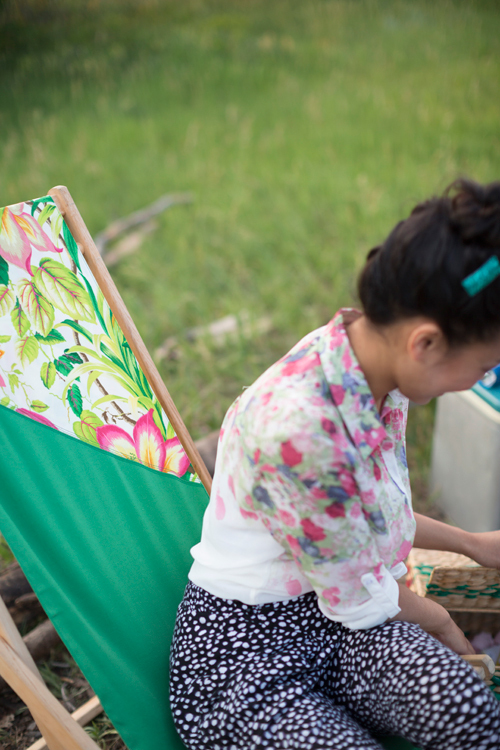 If you are doing one chair, you will want two pieces of each fabric cut out (front and back). Step 3: Using a ruler and marking pencil, mark a diagonal line down the center of each piece. You want to make sure the line is in the same place on each piece of fabric. Cut on the line. Step 4: Sew together contrasting fabrics on the diagonal cut. Press seam open. Optional: I was worried about the strength of the seams, so I cut a strip of fabric and placed it on the back of each of the diagonal seams. Then, topstitched two rows on each side of the diagonal seam. It was an attempt to take stress off of the actual diagonal seam. I really liked the look of the topstitching. Step 5: With right sides together, sew the front and back pieces together on the lengthwise edges (forming a tube). Flip right side out and press flat. Optional: Topstitch the edges to imitate the topstitching on the diagonal seam. Step 6: This is when you will need to look at your existing seat to figure out how it is attached to your chair. For my chair, the fabric is folded back on itself to form a loop for the chair’s top and bottom pieces to go through. Sew the loop. Reinforce the seam by stitching across several times. 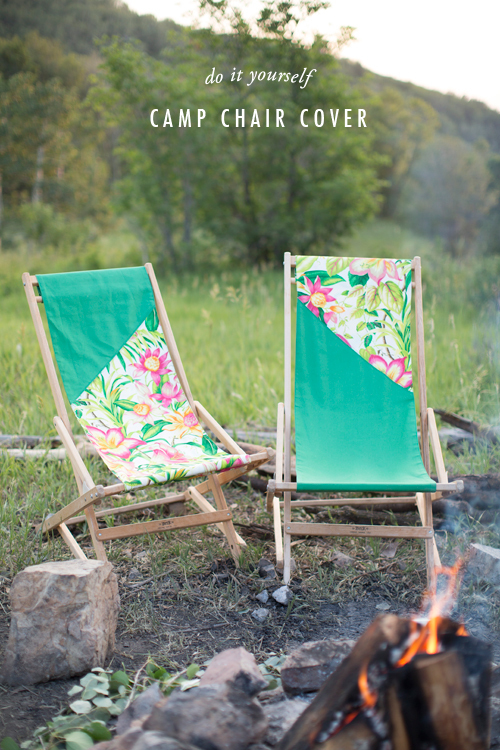 Now your ready to sit in your chair and enjoy a campfire!